This rolling stand is made specifically for the 24" machine. 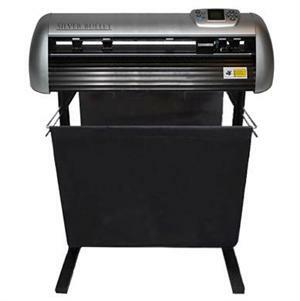 It includes a basket to hold rolled media for easy access to the machine. Height from floor to top of the stand is 33 1/4". The width of stand is 31 5/8". Front to back without the machine is 23 1/2".